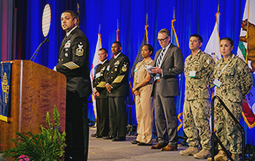 Recaps of presentations and speeches as well as photos and video of WEST 2019 from AFCEA's award-winning SIGNAL Media are available online. Learn about WEST 2019 event coverage from USNI News, with the top stories from the conference brought to you by the U.S. Naval Institute. 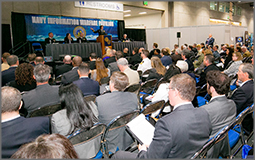 View footage of recorded panels and sessions from WEST 2018. Interested in Exhibiting or Sponsorships?